If you love dogs as much as we do, this watercolour art print / poster is perfect for you. 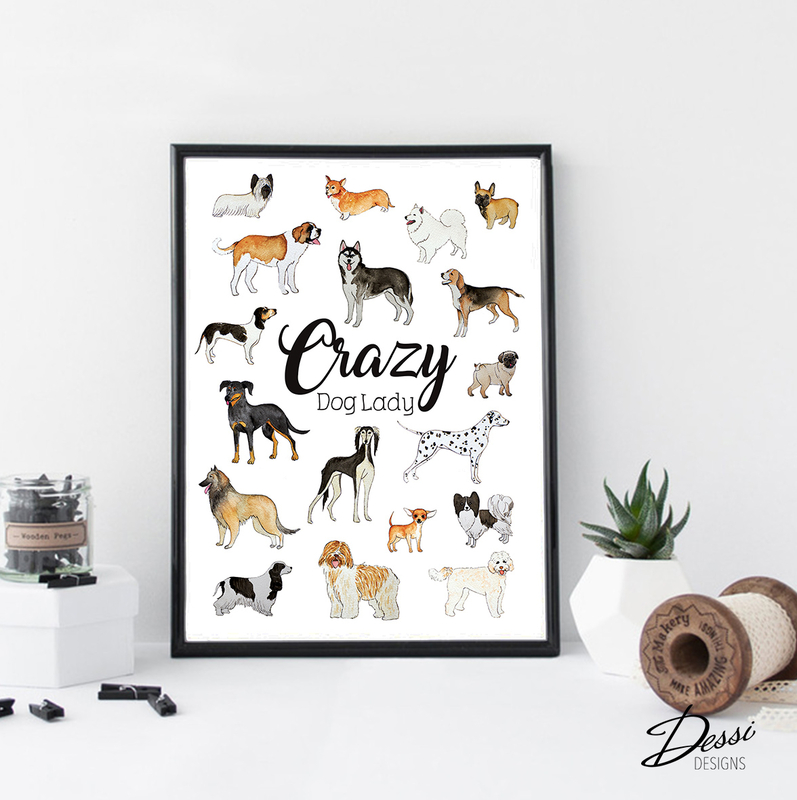 With vibrant colours and high quality paper it makes a great addition to your space and is a good way to show your love for dogs. This poster is 6'' x 8'' (15.2cm x 20.3cm) printed on a Conqueror Laid Paper, which imitates the original watercolour paper so the final product looks exactly like the original artwork. The design is based on my hand drawn water-colour artworks, which you can find printed on some other products too. *PLEASE NOTE that each print comes WITHOUT the frame and the accessories in the images above.